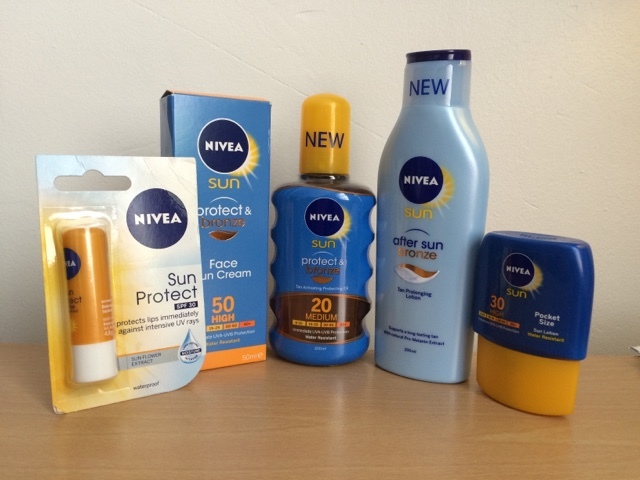 Life with Liv: Travelling abroad - preparation and travel essentials. 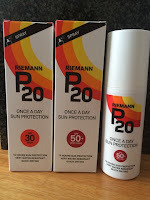 Travelling abroad - preparation and travel essentials. Last month nine of my Family and I boarded an 8 hour flight to the Dominican Republic ready to celebrate my 30th Birthday - how lucky am I? On the run up to our holiday, some lovely companies I have worked with got in touch and offered me some lovely items to review. Here are the items we used before, after and during our trip. Simply roll the essential oils onto your temples, forehead and nape of the neck using circular massaging motions. Within moments, we found that the cool sensation from the oils and the metal application ball will give you long lasting relief. This is an essential travel companion if like me you don't like to take painkillers unless you can help it. 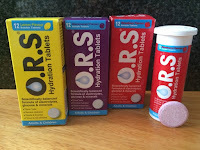 It is also able to be used if you have had a cocktail or two so shouldn't take pain killers - obviously hydrate well too! Containing only 100% pure and natural essential oils. Contains no preservatives, parabens, colourings or alcohol. 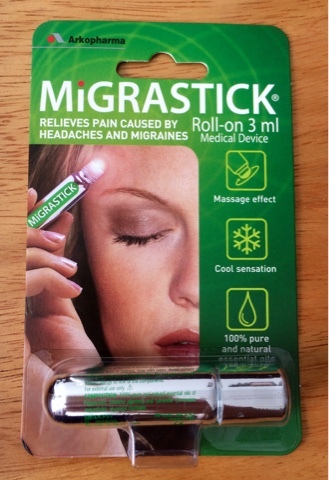 A great alternative to painkillers, Migrastick is small enough to have on you at all times. It’s also reasonably priced at £6.29 and is available from Boots, Holland & Barrett and selected independent pharmacies and health stores nationwide. These Lindy IEM-50X Hi-Fi In-Ear Headphones with Dynamic Bass Tuning (£49.98) are designed for optimum comfort and supplied with 6 different tips to insure the best fit for each ear, not only to deliver the best performance but also helping to block out external noise. What is Dynamic Bass Tuning? Each earpiece features a unique Dynamic Bass Tuning control. 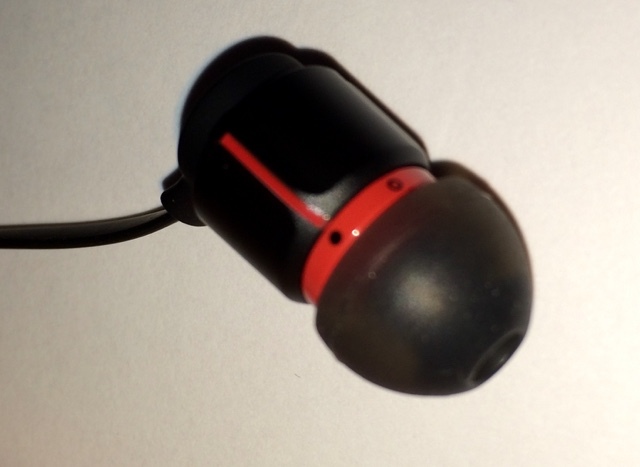 This allows you to gradually switch from the standard, voicing of the earphones to a more bass rich sound if you choose. This mechanical feature opens the rear chamber of the earpiece to give added weight and depth to low frequencies. 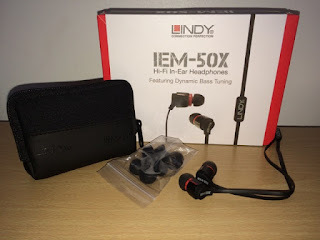 They come highly recommended by me as they are easy to use, deliver fantastic sound, are stylish and sleek to look, the flat tangle proof cable makes them the perfect travelling companion and the zipped travel pouch means they are easy to locate in your hand luggage. They are even covered by a 2 year warranty. The EasyLock is a simple but incredibly strong temporary door lock. Needed no permanent installation and causing no damage when you used, it is perfect for keeping you safe in a hotel room, rented apartment or student accommodation. It is as light as plastic, as strong as stainless steel, and can be fitted in seconds. It is also small enough to fit in a pocket making it the perfect size to travel with. Very simple to install - taking only seconds to activate, the Easy Lock will prevent anyone, even with a key, from opening the door. The unbreakable EasyLock is a revolutionary security device which will completely secure the majority of inward opening doors. It’s the lightest of its kind in the world, and the only one to allow users to open the door a touch to check who has knocked or receive mail whilst keeping the room completely secure. 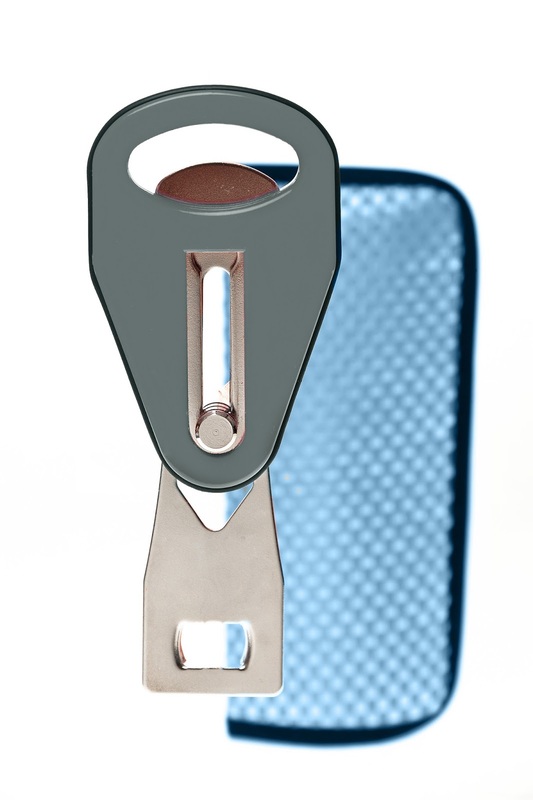 Available in silver or pink, the EasyLock is currently reduced from £29.95 to £19.95. I was sent some lovely items from di polomo - Inspired by Italy that were perfect for the aeroplane as they are well under 100ml. Isn't the packaging beautiful too? 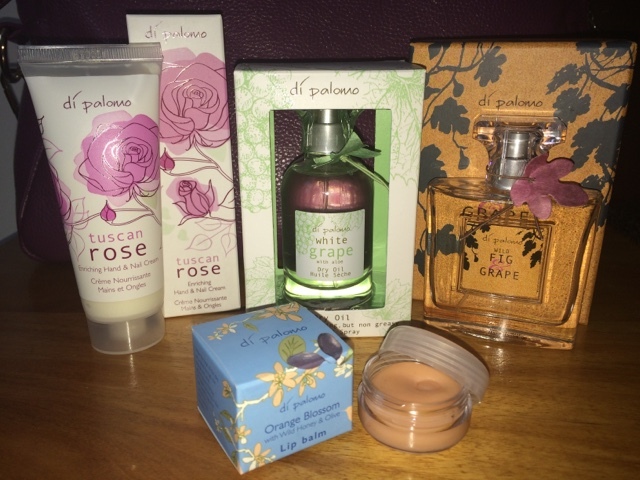 Tuscan Rose Protective Hand & Nail Cream with UV Filters. Unsurprisingly - this smells like beautiful soft roses. It soaks into your skin really well without leaving any residue behind, leaving your skin feeling soft and smelling wonderful - priced at £8. Orange Blossom Lip Balm - this was the perfect size to take on the plane and kept my lips feeling hydrated but not waxy like some lip balms. Infused with beeswax and shea butter it melts on your lips to give a soft shiny finish with a subtle sheen - priced at £4. My favourite is the White Grape & Aloe dry oil spray. It smells divine and soaks straight into your skin leaving you feeling thoroughly moisturised - fantastic to keep your tan looking good. - priced at £18. Most of us have fallen victim to a bug or hangover on holiday leaving us dehydrated, this can be quite dangerous if you are in a hot place too. The impact of your body not being 100% hydrated affects you mentally as well as physically. These essential hydration tablets are packaged in handy tubes making them perfect for travelling. Available in three flavours: Lemon, Blackcurrant and Strawberry - a flavour to suit everyone. 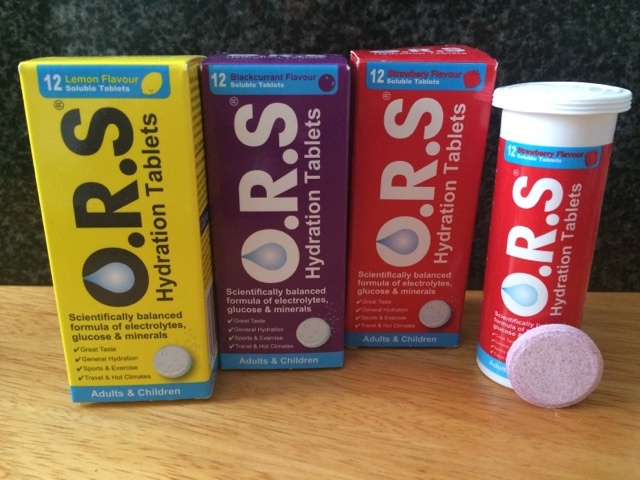 O.R.S® Hydration Tablets are soluble tablets that contain a scientifically balanced formula of electrolytes, glucose and minerals, which when added to water, replenish the body’s water and salts and thereby help to maintain a healthy fluid balance in infants, children and adults. The best way to hydrate the body is to drink water, but this does not always work efficiently because water can pass through the digestive tract too quickly. To correctly hydrate the body, sodium needs to be reabsorbed. The re-hydration salts included in these tablets enable better absorption of salts and water by the body, hydrating the body and maintaining an optimum fluid balance. Available from Asda, Tesco, Boots, local chemists and supermarkets nationwide. Price at £4.99 for 12 tablets or £6.99 for 24 tablets. 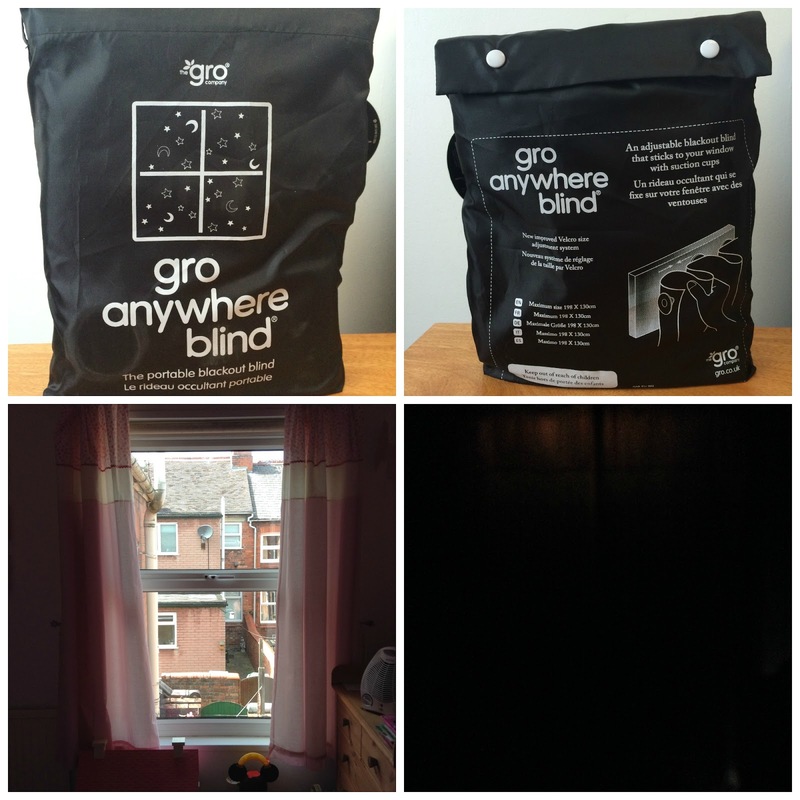 For those of you that have not heard of the Gro anywhere blind, it is a very clever, portable blackout blind! It adapts to fit any window up to a maximum size of 130cm x 198cm, attaches directly to the glass using suction cups and folds away into a handy travel bag when you are finished! At some point we have all stayed away from home with little ones, it can be hard enough trying to settle them in unfamiliar surroundings but add into that the room being too bright = one overstimulated, over tired, grumpy Baby. 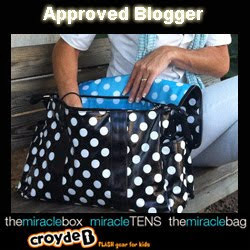 Enter the versatile Gro Anywhere Blind! Designed to 'go' anywhere with you, and be put in place in minutes, this New Improved version of the blind has strategically placed velcro allowing you to adjust the length and width of the whole blind. Made from premium black out material and featuring a stars & moon design, it is pleasant to look at and will fit with any bedroom. Left - before. Right - after. Watch this video to see just how easy it is to install, turning a bright room into the perfect nap spot. While we didn't end up using this on holiday - thankfully the hotel room had thick blackout curtains - we have been using it daily at home. Livs blackout roller blind needed replacing as it was starting to show signs of having mildew on from moisture being trapped behind it at night. 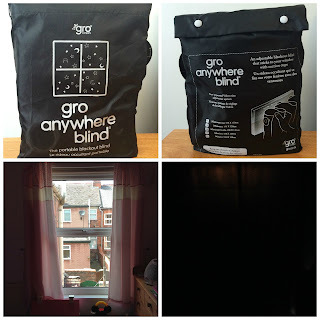 With this Gro Anywhere blind it is so easy to use that I have been taking it on and off every day to keep the window nice and dry. Highly recommended by us! Available to buy here- for just £29.99. The lovely www.swimshop.co.uk got in touch just before our holiday and asked us to choose a couple of items to review. An account was credited for us to be able to place our own order and experience the ordering and delivery process. The website was full of fabulous choices, a lot of which were reduced - who doesn't like a bargain?! 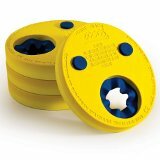 I decided on two items, the first was some Zoggs Float Discs - Set of 4 for £12.99 for Liv. I hadn't seen anything like these floats before but when I did I remembered Livs traditional air filled armbands rubbing the skin raw on her upper arms last year, so I thought these may be the perfect solution. As soon as they arrived I knew I had made the right choice. The arms are held comfortably inside the soft skirted armhole. 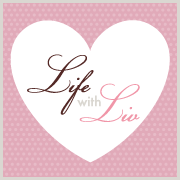 The foam discs gave Liv complete freedom of arm movement making her feel more like she was keeping herself afloat. Made from puncture free foam, you can eventually reduce the disks to one per arm when they get more able and confident. They are bright yellow with a soft royal blue skirt around the arm hole so they are easily visible. Suitable from age 2 and up to a maximum weight of 25kg. The second item I chose were some Speedo Swim Shorts in - Black / Grey for Livs Daddy. He has had the same 2 pairs for ten years so I thought it was time for a wardrobe update! He was very pleased with them as they fitted very well and he had the security pf the drawstring waist to make sure they stayed put while swimming. I found the site very easy to navigate and checkout was also very straightforward and out delivery arrived two days later - delivery is free on orders over £25 and next day if you order before 7pm - which I did not. I would definitely order from Swimshop again. Did you know that 4 out of 5 burglaries occur when there’s no-one at home and burglars often look for dark homes or the tell tale sign of a dimly lit lamp left on a timer plug? If you are anything like me you worry when going out for the evening, going away for the weekend or even worse, leaving your home while you are off on holiday. Well worry no more! I have just the thing for you. This, Ladies and Gentlemen is the Light Switch Timer. I honestly cannot believe how genius this product is. No wiring as it works with 2 x AA batteries. It simply fits over a regular 1, 2 or 3 switch light socket and is compatible with all types of bulbs including LED’s and energy saving bulbs. Simply loosen the screws on your light switch - NOT dimmer. Slide the base behind the light switch and re-tighten the screws. Place the controller into the base you just fitted. That's it! If you are in any doubt about how easy it is to install, watch this 30 second installation video. 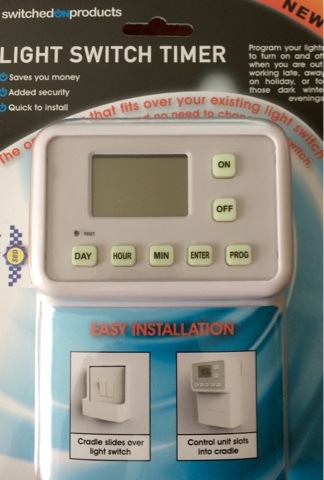 As it is operated by 2 AA' batteries and simply fits over the existing switch, it is the only timer which works with Energy saving light bulbs and LED’s. 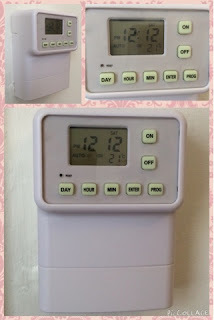 The digital programming allows you to quickly and easily set a different time for the lights to come on/off on individual days or set for the whole week. My favourite feature however is the "Random" setting, prevent that home alone moment where the burglars are sat outside the properties timing when the lights go on every evening! You can also manually use the on/off buttons. I honestly think everyone should have one of these in their home, it will definitely help put my mind at rest this holiday. Buy the Light switch timer here for just £29.99. 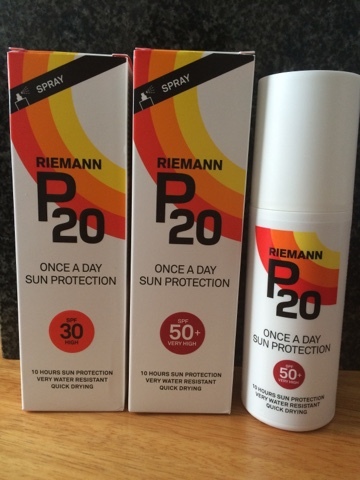 We were kindly sent 2 pump action bottles of RIEMANN P20 sun protection to try out. Complete with photostable UVA and UVB filters, just one application gives you 10 hours coverage and it is very water resistant too. With no added fragrance, colourants, parabens or preservatives it may be better for people with a sensitivity to other sun lotions. Although P20 is "Very Water Resistant", excessive rubbing (and soap) will remove it. So make sure you pat dry, rather than rubbing with a towel after swimming and reapply when you feel necessary. This was perfect for Olivia as she was in and out of the pool a lot. We found it best to leave it to dry for around 15 minutes before dressing as it is very greasy when applied but after that the protection was fantastic. Available at: Boots, Superdrug, Tesco, Asda, Morrisons, Costco, Sainsbury's, Waitrose, John Lewis,LloydsPharmacy, Savers, Semichem, Wilkinson, T.J Hughes, Bodycare, Home Bargains and all good pharmacies, department stores, drugstores and airport Tax Free shops! PreVent insect repellent and Bite & Sting relief are a must have when travelling. 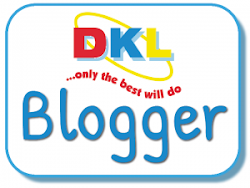 They are suitable for your hand luggage too which means you can apply it quickly upon arrival. 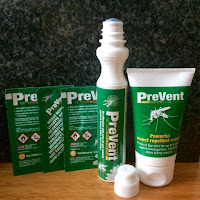 These natural repellent wipes do not contain Deet so they are particularly handy if you are travelling with Children as they are quick and easy to use. Simply wipe over visible skin for instant protection as soon as you land. The powerful natural repellent cream work is Deet free too, small enough to take in your hand luggae, simply apply when you land for up to 8 hours protection from mosquitoes, ticks and other biting insects. The Bite & Sting relief pen contains natural witch hazel to relieve insect bites and stings. It provides relief from Mosquitoes, Flies, Midges, Sandflies, Horseflies, Cleggs, Ticks, Fleas, Wasps, Hornets, Scottish Midge. My Husband will be packing this Ted Baker M fragrance gift set. As the conents are all 100ml or less, they are suitable for hand luggage meaning he can make sure his aftershave is transported safely and not damaged in his suitcase. Of course he can also have a quick freshen up on board or on arrival too. They all smell lovely, infused with a fresh, woody fragrance with top notes of tonka bean, combined with a spicy blend of amber, coriander and Musk. The Eau de Toilette leaves a long lasting fragrance and is presented in a chunky masculine bottle. 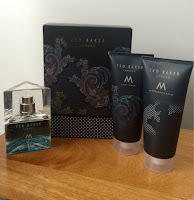 My Husband loves this gift set and I like the smell so a win all around! 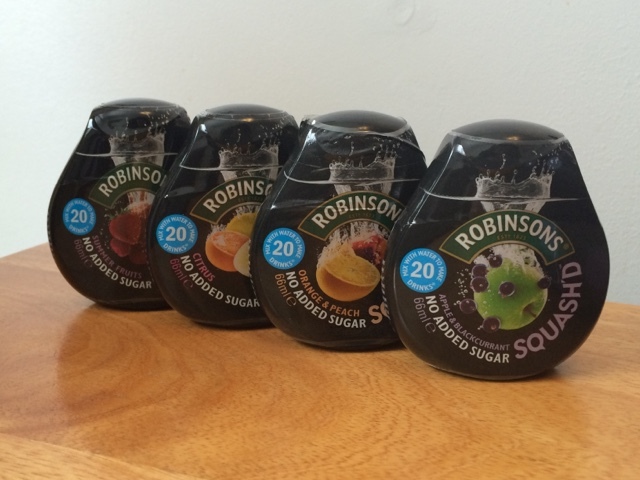 These little Robinsons Squash'd bottles contain enough sugar free, concentrated squash to make 20 drinks!! The perfect size for your handbag for juice on the go or to keep in your desk at work. I have several of these packed in our luggage as Liv only like Robinsons Summer Fruits squash. Available in Summer Fruits, Apple & Blackcurrant and Orange and Peach from Tesco, Asda, Sainbury's, Morrisons and the Co-operative for around £2.00 - £2.50. 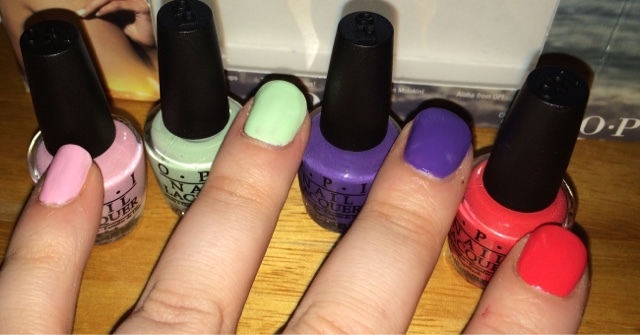 Available from Just My Look priced at £9.95, this new O.P.I Hawaii collection nail polish is the perfect travelling companion. Each bottle is only 3.75ml / 1/8 fl oz meaning you could easily pack all 4 for a change of colour or reapplication while you are on holiday. Suzi Shops & Island Hops - a light and happy pink that's the perfect travelling companion. That's Hula-rious! Stock up! - This pastel mint green makes me dance with joy! Lost My Bikini in Molokini - With this reef inspired purple, what's one bikini more or less? Aloha from OPI - let's give a warm island hello to this bright and cream coral. Which is your favourite? I just can't decide they are all so lovely. I must admit, Nivea is my preferred sunscreen as I find it sinks into your skin really well and leaves you feeling lovely and moisturised rather than sticky and greasy. It is a name I can trust to protect our skin and the pocket sized bottles are perfect to pop into your handbag or changing bag for top ups on the go. 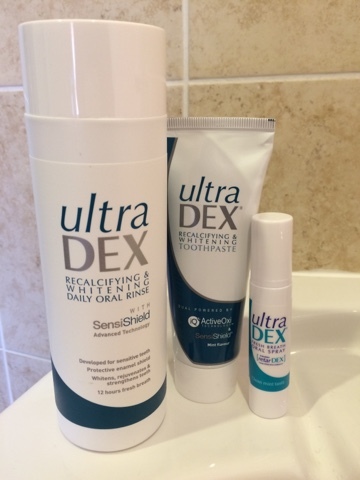 ultraDEX recalcifying & whitening toothpaste and daily oral rinse have been specially developed for sensitive teeth with Sensishield® Technology. Containing the active ingredient hydroxyapatite, the key natural building block of teeth, it recalcifies tooth surfaces to leave them smoother, brighter and provides a protective shield over tooth enamel making them less likely to stain. Instantly eliminates odour-causing compounds and delivers 12 hours fresh breath while significantly whitening teeth within 14 days by gently lifting organic stains to reveal their true brightness. I started to use these about 2 weeks before holiday and was very pleasantly surprised by the whitening affect. As a former smoker my teeth have a yellow colour to them which these products lightened easily. The Fresh breath oral spray is sugar & alcohol free and contains 130 sprays within each pack. It was perfect for use on the plane during the 9 hour flight. There is nothing worse than having a horrible taste in your mouth from the air conditioning. This resolved that instantly and left our mouths feeling fresh again. You can find these products and many more at www.ultradex.co.uk. Feeling all festive - It's Christmas in July! Making the most of our Summer! Planning a festive weekend away in November!